Taking place in Ely Methodist Church on Monday 20th March, this day is about bringing cultural visitors into the wider family of the church. Part of the Diocese of Ely’s 2025 strategy, this FREE full day-day conference includes lunch and a visit to Ely cathedral. “The day will be looking at how we can grow closer to our communities through our church buildings. In re-imagining our buildings we need to have confidence in letting people in – all people. One category of visitor to our churches is the cultural visitor – tourists, “church crawlers”, concert goers, exhibition viewers. These people may be quite local, or from far away. In these days of electronic communication that doesn’t mean they cannot become part of our church family in time; if we let them. 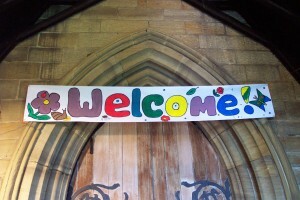 The first step in that is making sure they can get in, and that we give them an encouraging, safe, fulfilling welcome. All churches will have their unique way of doing that”. So if you are thinking of opening up your church or want to find new ways of refreshing your welcome then this day may well give you new ideas and inspire you to take things that one step further. Posted in Events, Preparing for Visitors, Why Open your Church?